Just prior to the 2016 US Election, something interesting happened on Facebook. For the first time someone used Reactions functionality as a polling mechanic in live video. 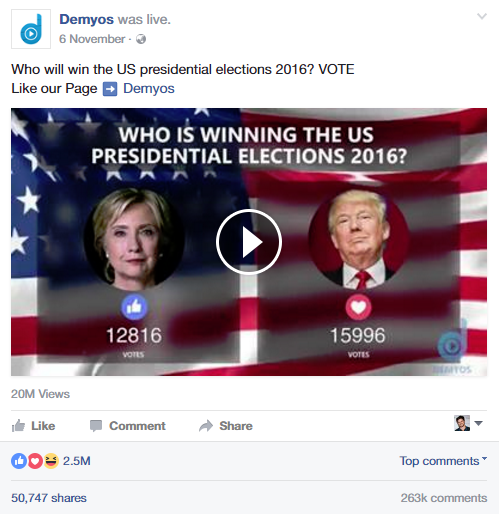 Publisher Demyos broadcast a stream where likes would vote for Hillary Clinton and loves for Donald Trump, with the results feeding back to the user in real time. 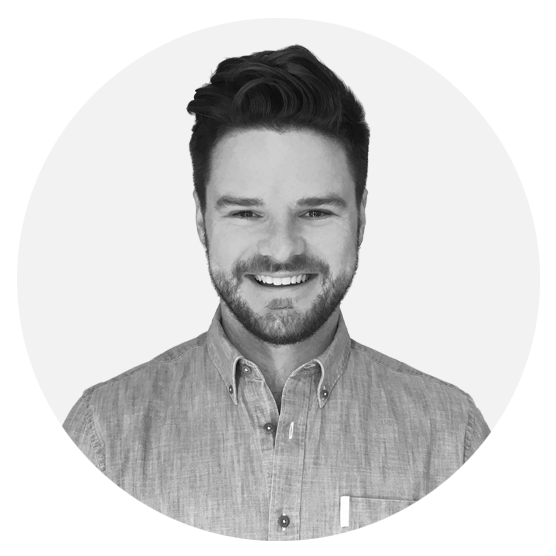 We call this creative hacking – finding exploits within a platform’s existing functionality to build ideas around. One of my all time favourites is the Whopper Sacrifice (which was later shutdown by Facebook – the best creative hacks often redefine the rules, literally). 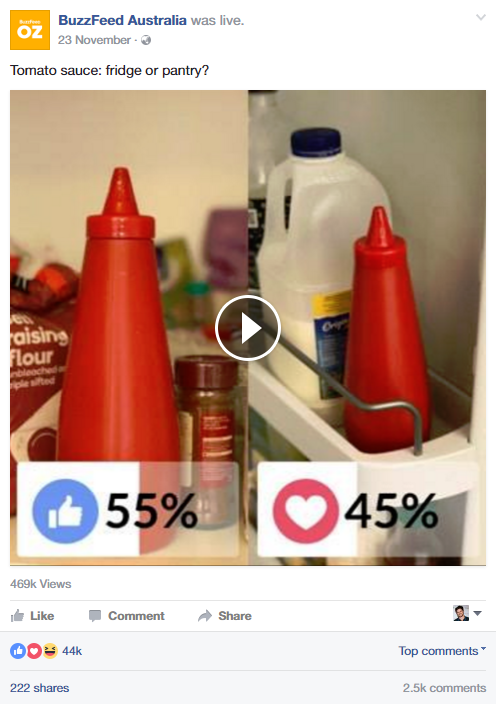 This one is particularly clever because it’s not only ‘cute’ (the extent of many creative hacks), it combines two factors which Facebook’s newsfeed algorithm weighs highly; strong engagement and live video. Within hours, it was replicated. The concept was recreated (same idea in similar execution), stolen (ripped and re-uploaded pretending to be live) and parodied (‘Hillary v Trump v Meteor’). So too was the mechanism, particularly by publishers. While this was happening, it was productised. From complete commercial out-of-the-box solutions through to free DIY tutorials. And that is the very short life and death of Facebook Live Video Reaction Polls. Launched, mimicked, monetised and banned – all in less than three weeks.